My Mission: To investigate Kaleidoscope digital photography creating pulsating hypnotic, entanglements, with textures and colors, as the true image gets hidden in the works. Pushing the visual limits of connecting the dots, to find the real subject being photographed. The works are both meditative and contemplative, creating a visual escape. Who does not love kaleidoscopes. As a kid I had many, as an adult, I still have a few. In 2012, I got a new mobile phone, it had a camera. It was fall, and we were driving home through the northern part of Italy, it was a long drive and I had time to investigate my new phone and all the apps, my husband was driving. 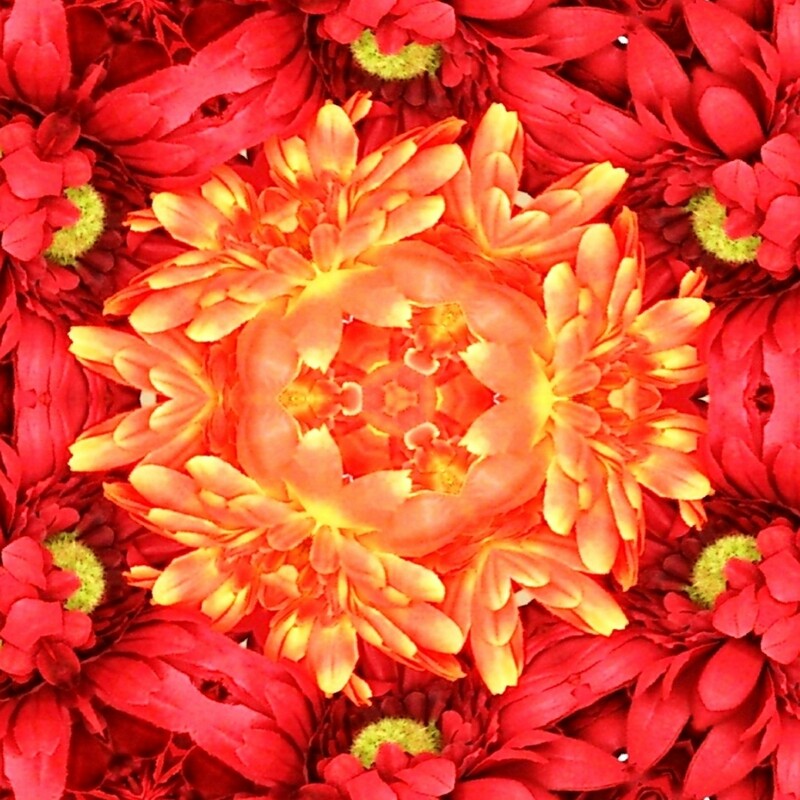 One of the apps was Kaleidoscope. 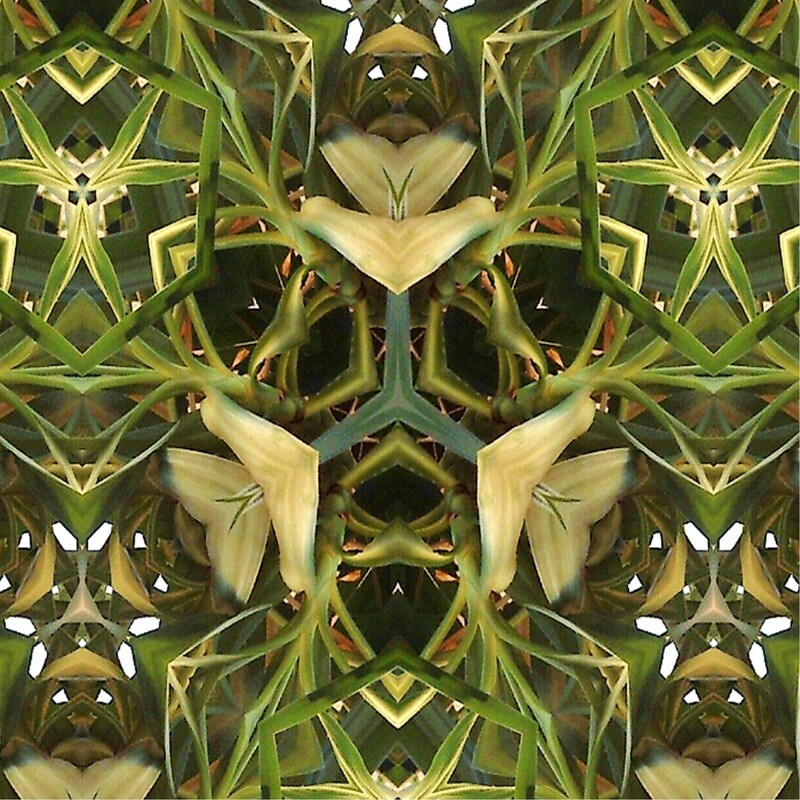 I must have made 1'000 or more, kaleidoscope photographs, on the drive home. When we got home, I put them on my computer, and immediately got to work. Changing them, manipulating them around and suddenly, a new obsession was born and I had my first Denim works. That is how I got the idea to create my Kaleidoscope Digital Works. The first Kaleidoscope Digital Works began in 2012. The Denim series was well received by the public. In 2014, I created a Wrinkle series. Wallflowers, is ongoing from the beginning and involves flowers, tulips, trees and house plants. Contact me to visit my studio and see the "Kaleidoscope Digital Works".